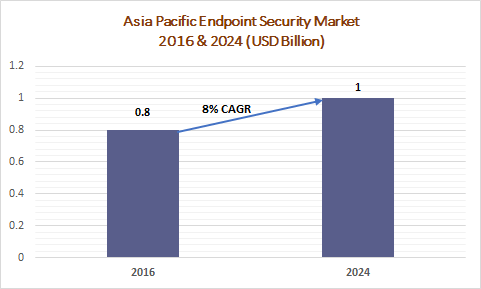 Asia Pacific Endpoint Security Market is expected to register a lucrative growth between 2017 and 2024 at a CAGR of over 8%. 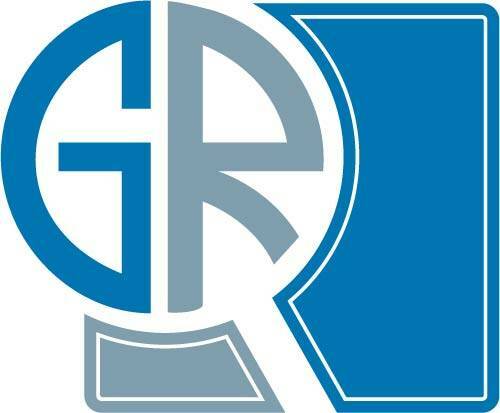 The region offers opportunities for the endpoint security solution providers as there are several SMEs in the region, who are witnessing a rise in the number of cyber-attacks. The penetration of connected devices has also resulted in the rise of cybercrime activities. According to the China Internet Network Information Centre (CNNIC), in 2017, the number of mobile internet users in China reached 753 million, an increase of 57.34 million from the end of 2016. With a rapid increase in the adoption of smartphones, broadband, and the IoT, the country is witnessing a surge in cyberattacks. To address the cyberthreats, government agencies in the countries, including China, India, and Singapore, have introduced several cyber security policies and reforms to ensure stronger data protection. The anti-virus software segment in the endpoint security market is expected to hold a major market share of over 21% in 2024. The increasing instances of malware attacks on government & corporate networks have considerably increased the awareness regarding the securing of IT networks with the latest & robust antivirus solutions. Consequently, the demand for endpoint security solutions and anti-malware is expected to increase over the forecast timeline. The endpoint security market in the BFSI sector is expected to witness the fastest growth rate of around 10% over the forecast timespan. Cyberattacks and intrusions have increased drastically, exposing sensitive personal & business information and imposing high costs on economy. In August 2018, India’s Cosmos Bank lost USD 13.5 million through a malware attack on its ATM machine server. To prevent cyberattacks, government agencies are implementing stringent security policies to effectively respond to the threats. In May 2017, the China Banking Regulatory Commission (CBRC) strengthened the cyber security protection at banks to prevent disruptive system risk events in response to the WannaCry ransomware attack. As the attack affected around 30,000 organizations in China, the CBRC planned to increase its cybersecurity management and risk prevention capabilities and guide banks to conduct assessment and monitoring of such events. The China endpoint security market is expected to hold a major portion of the market with a share of around 28% in 2024. The rapid adoption of cloud-based infrastructure and proliferation of smartphones & connected devices driven by high connectivity have resulted in an upsurge of cyberattacks. Most users’ smartphones double up as electronic wallets, becoming a leading target for hackers, who are stealing the payment details and other personal data. The government agencies in the country are taking efforts to reduce the incidents of attacks on the critical IT infrastructure. The endpoint security companies operating in the region are focusing on strategic partnerships to develop new offerings for their customers. For instance, in January 2018, Trend Micro and VIVOTEK entered into a strategic partnership to offer cyberdefense solutions to users. The partnership enabled users to enjoy high levels of network security when deploying VIVOTEK’s network cameras and strengthen its response to the emerging security challenges. In February 2017, Qihoo 360 Enterprise Security Group held discussions with vulnerability response platform developers to develop white hat collaboration mechanism. Some of the leading endpoint security companies in Europe are Cisco, Trend Micro, ESET, F-Secure, IBM, McAfee, Comodo, Kaspersky Lab, Microsoft, Symantec, VIPRE, Webroot, Sophos, Ahnlab, and Panda Security.